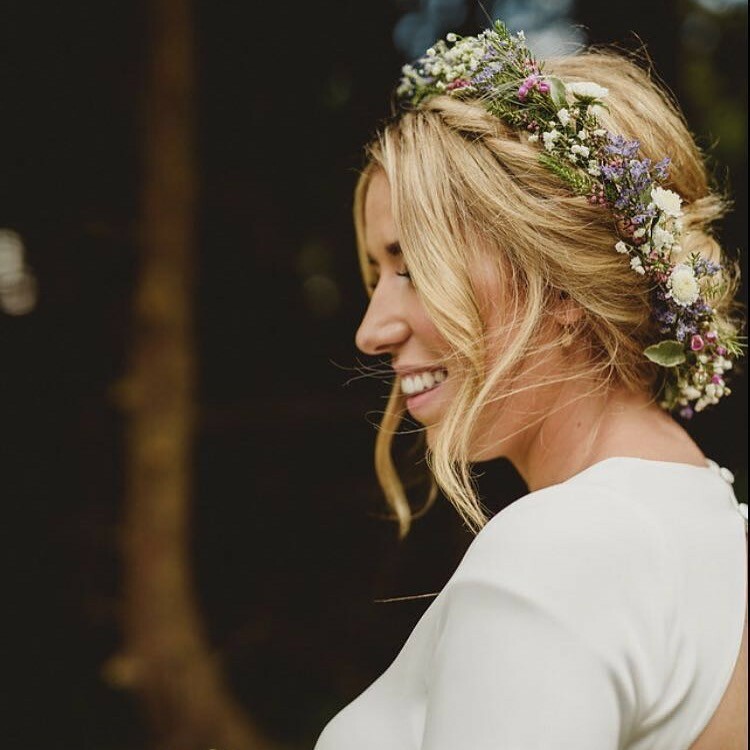 Denise is a freelance bridal hairstylist based in Leinster. Her relaxed attitude ,funky nature and professionalism ensures a calm and fun morning. Her love of upstyling is apparent from her work . 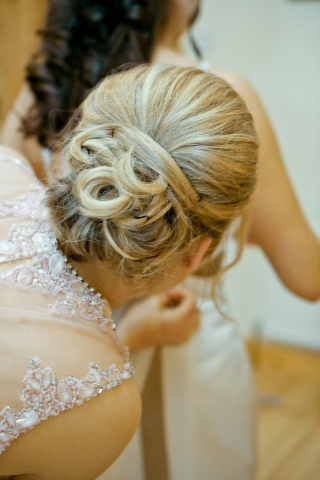 She will take the time to get to know each individual bride and works on a style to suit. She travels nationwide and no time is too early or late. She stays to put veils/ accessories/ last minute sprays in as nothing can be more stressful then a veil not sitting right! Denise has been featured in many publications including U magazine and xpose magazine, and has worked alongside top photographer Lili Forberg. 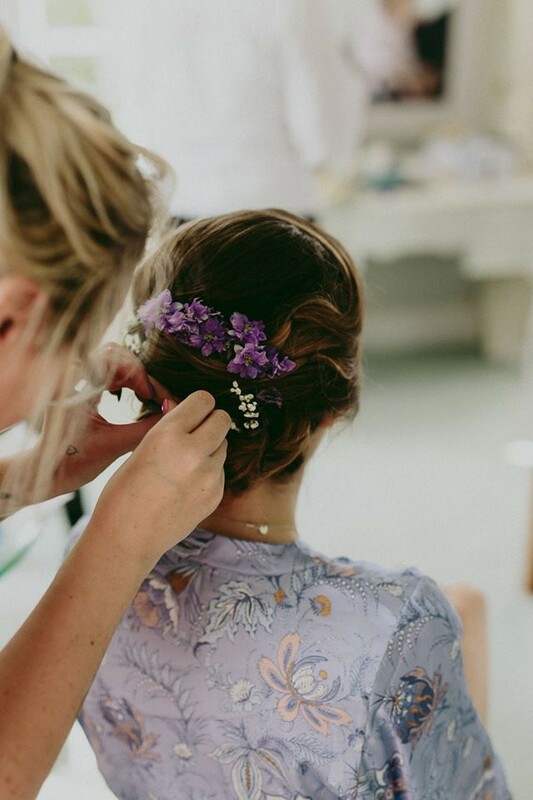 Denise did hair for myself, bridesmaids and my mum for my wedding and I can't recommend her highly enough. I wanted my hair up but was a little unsure about what style, but Denise brought my vague idea to life and did an amazing job on both my trial and the day. My hair stayed up the whole day and complemented my dress and veil so well. Denise was so much fun to have around on the morning of the wedding. I was a little nervous about the day but she completely put me at ease and made me feel amazing! Thank you Denise! Firstly Denise is an absolute barrel of laughs! But I suppose the bit that everyone needs to know is that she works extremely fast and is absolutely amazing at her job, nothing is a problem! 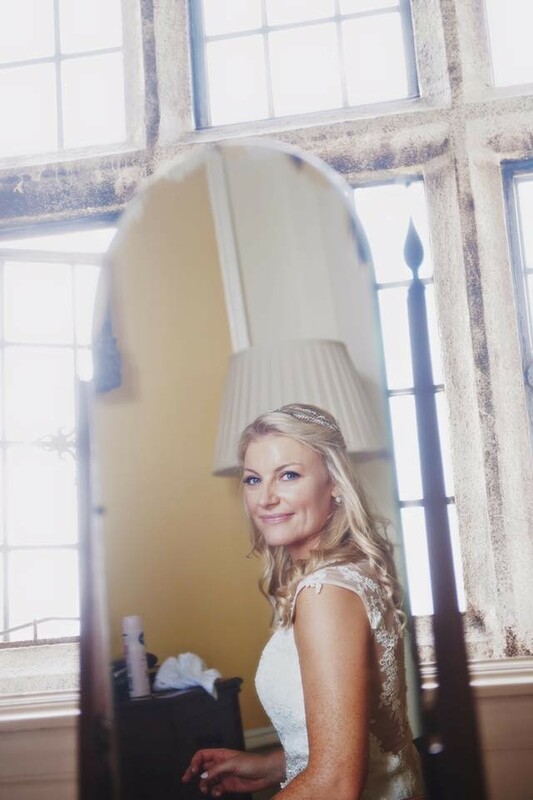 Such a lovely lady to have around the morning of your wedding too, super chilled regardless of how busy she may be! 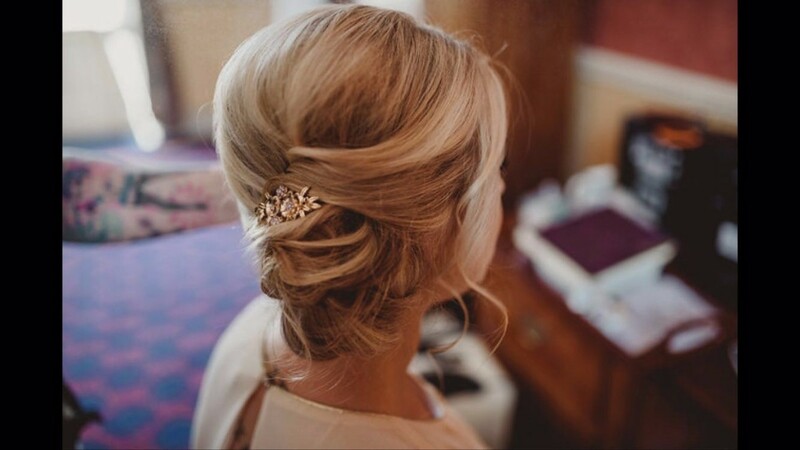 Denise did the hair for my wedding in February and she made the process so easy. I was very indecisive and went for two trials - Denise was very patient and took the time to try different (yet very similar) styles until we found the one. On the morning she was great craic and got everyone done in good time. Mother of the bride, bride and bridesmaids were all delighted with her work. My veil never moved and she she was able to advise on other hair pieces to compliment the style. Hair lasted all night (and the next day). If you provide the coffee she'll provide the chats! Can't recommend her enough - brilliant hairdresser! Denise was a pleasure to work with from start to finish. 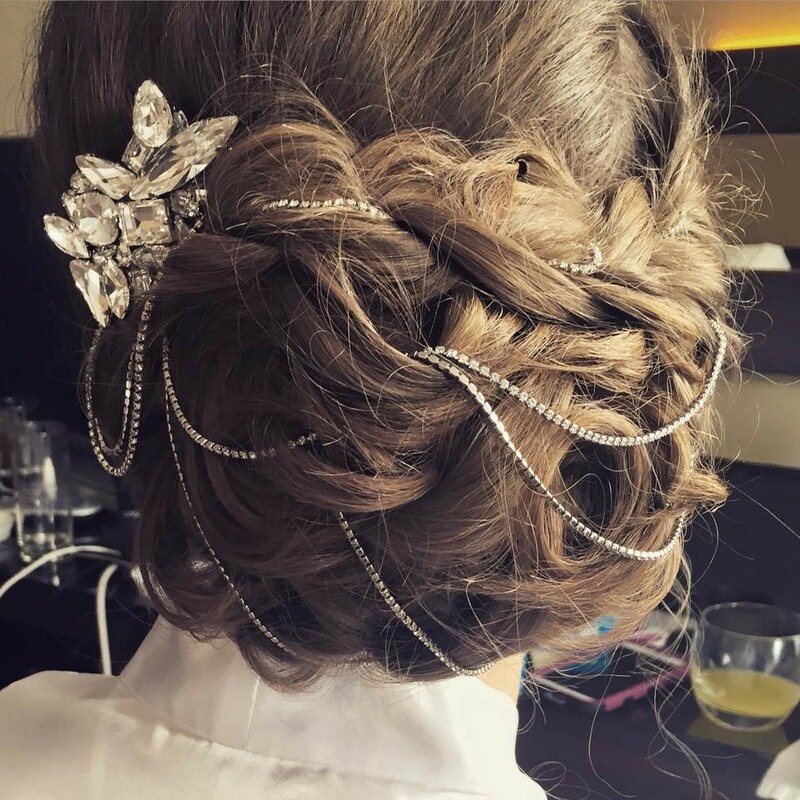 She was so relaxed and easy going and yet she created the most amazing upstyles on the day. Everyone raved about my hair and it stayed looking perfect for nearly 2 days! If you're looking for someone who makes you both feel and look good, go for Denise! Denise is a true professional. Her easy going nature and pure talent relaxes any situation. One of the best decisions I made was booking her as nothing phases this gem. After the big day you leave with happy memories, fab hair and a new friend ???????? Denise is an absolutely incredible hair stylist and brought a lot of fun and laughter to the bridal prep! 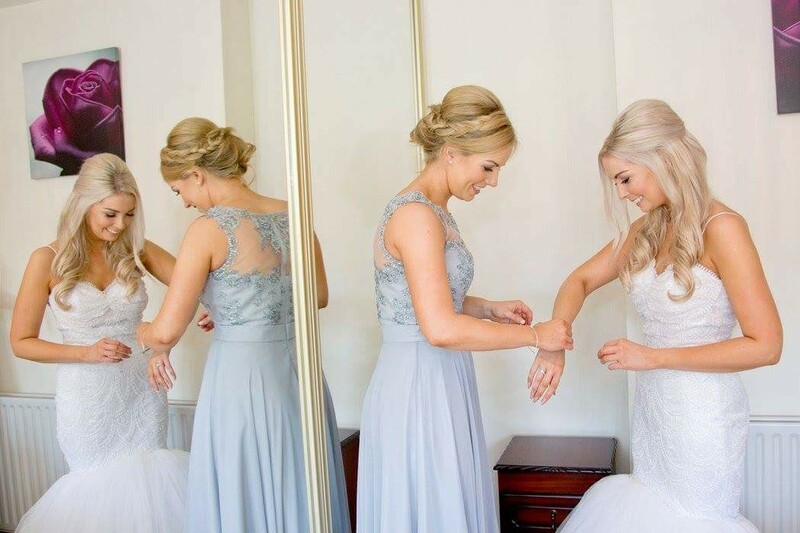 She very kindly agreed to do the bridal party hair styling on her day off as we were a week out from the wedding with no hair stylist due to a late cancellation! 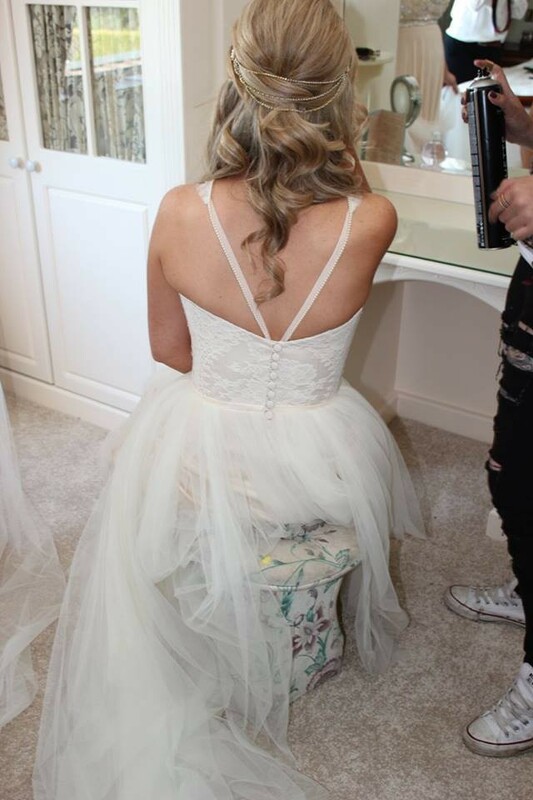 It was definitely meant to be as Denise created the style everyone wanted in record time with 4 bridesmaids my mom and even my nans hair done in under 3 hours with everyone delighted with what she did! She is extremely talented and quick and brings such fun to the morning of the wedding. I would recommend her to any bride!!! I would highly recommend Denise. Her work is excellent. 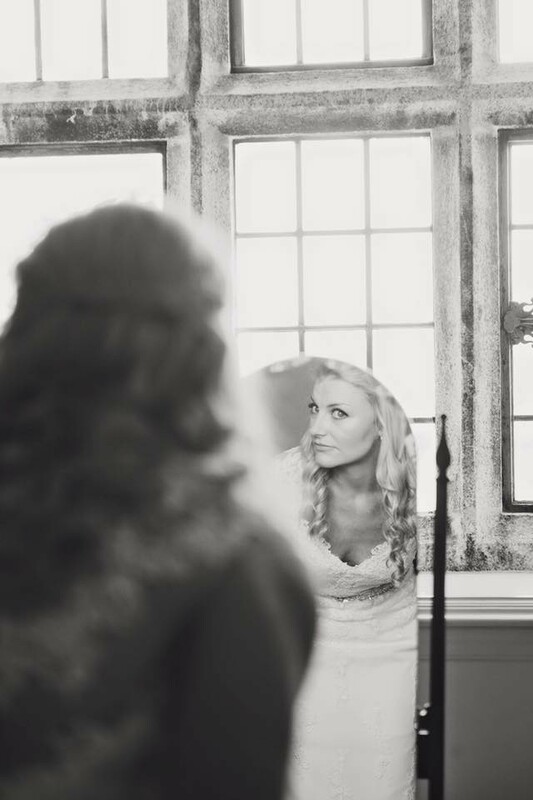 I received multiple compliments with respect to my bridal hair on the day and subsequently. 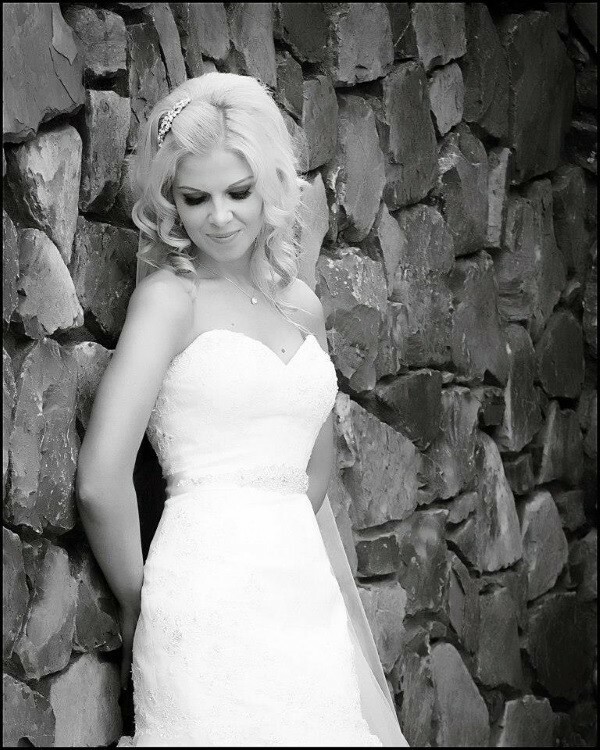 Denise, herself, is friendly, professional and easy going; everything a bride would want on her wedding day. Thanks Denise. Denise is brilliant in every single way. She can work with every single hair type. Her styles are amazing and she is so quick at it, she is just a natural at what she does. She is such a bubbly person and brings love and laughter to a stressful environment which creates a great and stress free start off to your day. When you tell her what you want she can't create that masterpiece. I would highly recommend her and have to many. I was made feel like a princess. I wish I could enjoy that experience again and I will be booking her for upcoming occasions in the future. Thank you Denise. Denise was able to recreate exactly what I had in my head only better for myself & my bridesmaids! A Such a lovely person to have around the morning of your wedding which is a bonus! Denise is so talented and a hoot to be around! Her personality, her skill and whole demeanor made everything so easy for me. She responded to all of my enquiries in a timely manner and was always so helpful. On the morning of the wedding, Denise helped create a calm and fun environment and had my whole bridal party laughing, and we all loved her! All of our hair was stunning and stayed in place the whole day and looks fab in all the photos. 100% recommend!! Denise was an absolute dream. She was talented and super capable. My hair is normally a flat mess and she created the most beautiful soft style which earned me so many compliments throughout the day. It also stayed put and was comfortable until the very small hours of the night. My bridesmaids all had different hairstyles, and they each looked fantastic. She works so quickly and so well that we even had time to change one of the hairstyles. We had such a good laugh that morning, she is a great giggle and exactly who you want in the room with you when you're getting ready. A very, very, very talented lady! I honestly cannot recommend Denise highly enough!! 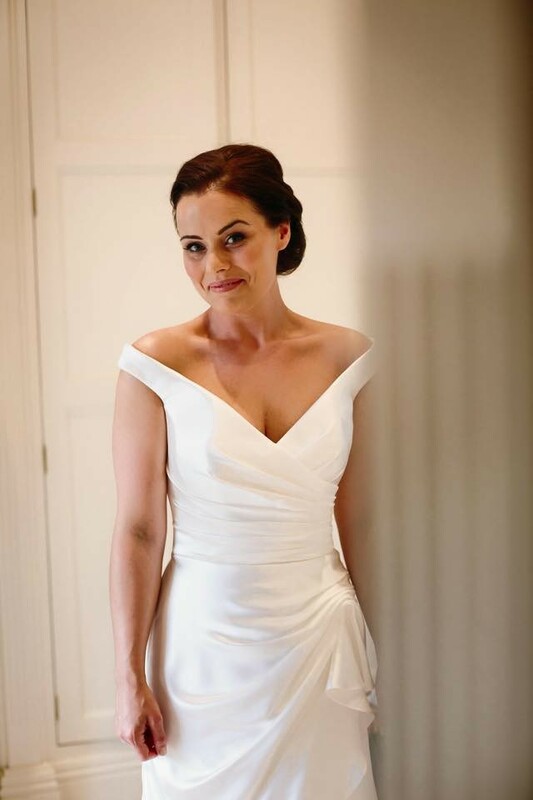 From the first time I met her for my wedding trial to the morning of the wedding she was so easy to deal with, so friendly, and knew exactly the styles I wanted for both myself and girls with minimal information from me. She made the morning of the wedding so relaxed and fun, she kept me and all the girls laughing the whole way through and she brought a great atmosphere to the house. I truly cannot thank you enough Denise for your amazing work. Myself and the girls were all thrilled with our hairstyles and it really stood the test of the day - we didn't even have to touch it up once! Denise was so amazing, so nice and so much fun. Came out of my hair trial in stitches laughing. Same the morning of the wedding and it really made the morning go with ease. Loved her to bits. Everyones hair was gorgeous. Mine actually lasted the whole day and night and that NEVER happens to me. Couldn't recommend Denise more. She is so talented and did listened to what I wanted, looked at pictures and was able to do recreate it all perfectly. Denise is a lovely, funny, down to earth girl and a brilliant hairdresser. From the first message through to the big day she was great. When i told her i wanted big hair she gave me BIG hair!! The bridesmaids and flowergirls looked beautiful too. She even managed to calm my pre-wedding nerves. I would recommend Denise to everyone. Denise is not only a fantastic hairdresser but a really fun person to be around! For both of these reasons she was the perfect person to have present on the morning of my wedding. Denise had done my sister's wedding hair a couple of years previous to mine so I knew what a cool, talented girl she was. The morning of the wedding was full of laughter, craic and non stop chat. Denise had 7 of us to look after and she took it all in her stride. My BMs all went for different styles and I loved that they were all delighted with looking and feeling like the best version of themselves that day. She did an epic job on my hair which stayed put all day and night-through the boisterous hugs, glow stick skipping rope and late night moshing! In fact, I hated taking it down that night. I will 100% be recommending Denise to any of my family and friends looking for a wedding hair stylist in the future!! I had Denise doing my hair and four bridesmaids for my wedding. I cannot recommend Denise enough, definitely one of the best decisions I made to have her involved. She made everyone feel so relaxed and was like one of the family on the morning. She is great fun to have in the house and she stayed until we all left for the church. I was so happy with my hair and if you are lucky enough to get Denise you wont be disappointed. I found Denise to be very friendly and helpful. She listened to what I wanted and produced what I wanted. She is very good and quick at what she does. She doesn't believe in wasting time. And she was very helpful on the day. I would recommend her. 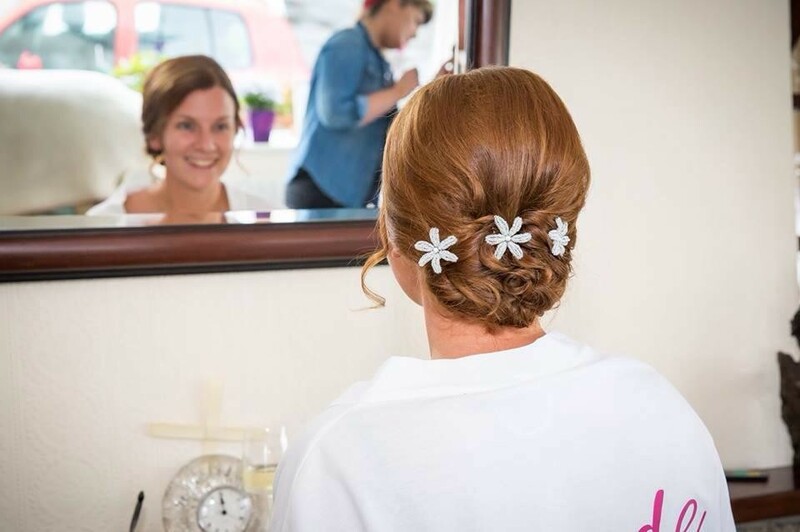 Choosing Denise to do your hair for your wedding is going to be one of the decisions you look back on after the big day and think " I'm so glad I did that"!!! Not only is she an extremely talented hairdresser with great vision and skills but she also has the knack of making you feel like you've been friends for years and therefore you feel comfortable in her presence which is really important when someone is coming into your home on let's face it a potentially pretty stressful morning of your life. Denise keeps it calm, lighthearted yet controlled. She does great work and I definitely recommend her. What can I say about Denise? Well, I think she is just amazeballs!!! Denise was recommended to me by Deborah Curran, makeup artist extraordinaire , who did my makeup on the day, Debbie and Denise team up together and the two of them are just absolutely brilliant. 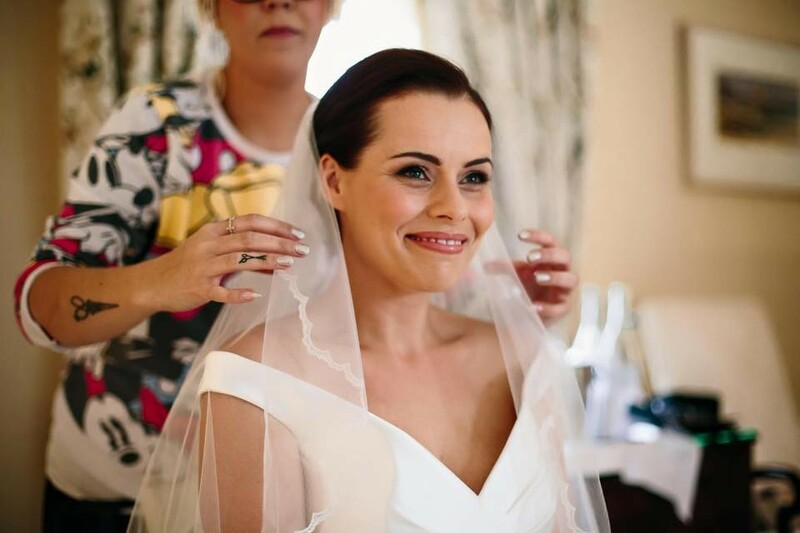 I planned my wedding from the States which was extra stressful but the first time I spoke with Denise, she was so lovely, she put me at ease straight away. 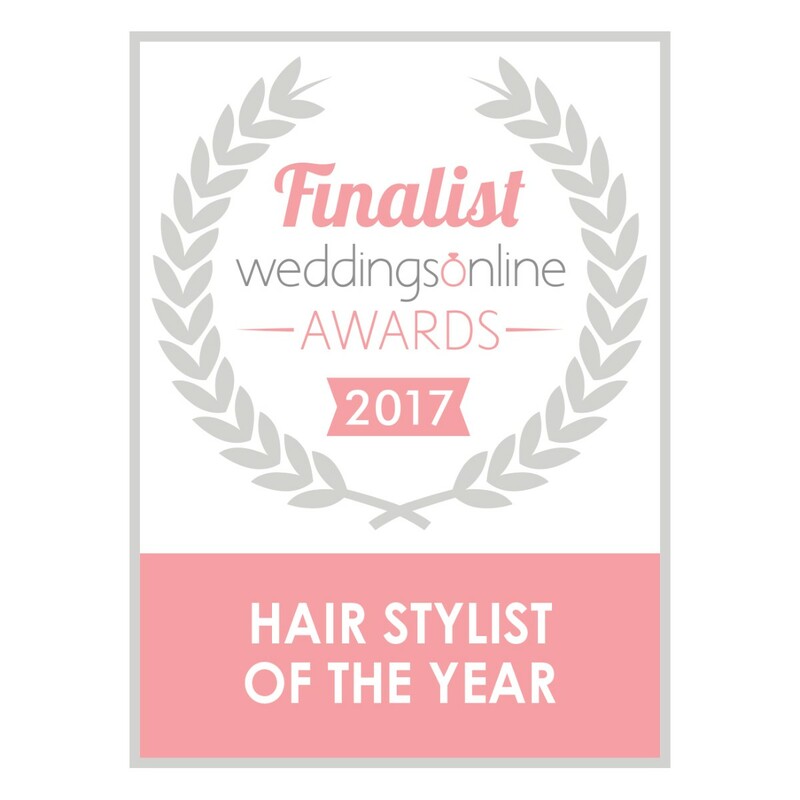 My trial was very last minute, just a couple of days before the wedding but I was confident I had chosen the right person to do my hair! You can tell she is passionate about what she does which makes a difference. I had some really good laughs with her, she is so easy going and that helped the 'ol nerves too. I really can't say enough good things about her! Thank you Denise!! Denise is the most talented and efficient hairdressers around. She realty listens to you and will give sound advice , (like talking you out of getting purple hair), and her talent is evident from the first consultation. I can't recommend her enough. I can't recommend Denise enough . . . she was fantastic to deal with, had loads of ideas and suggestions and made sure I was completely happy with my hair staying until we left for the church to make sure that everything was perfect including the veil. I got so many compliments on both my own and the bridesmaids hair the day of my wedding. She was so good that both my friends have subsequently used her for their weddings and they both looked amazing on their big days.